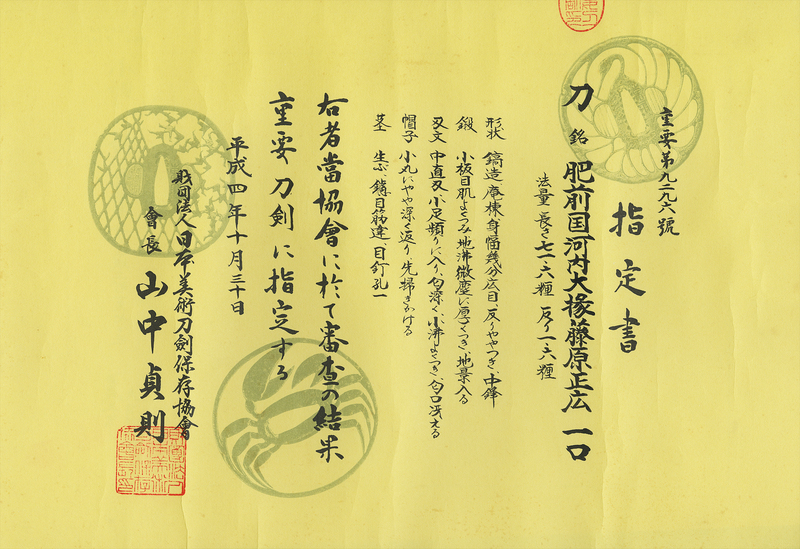 Width at the Kissaki : 2.26 cm or 0.89 inches. 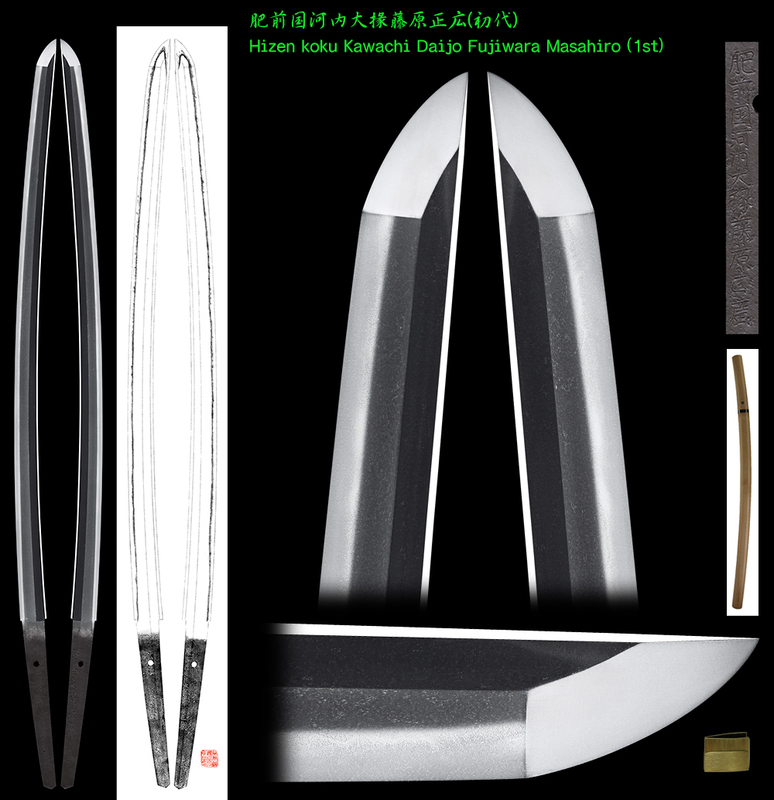 Shape : The blade is wide and thick with nice sori and also longer kissaki nice looking shape. Jitetsu :Koitame had well grained with jinie attach beautiful texture which is called Konuka had. and soft Ashi. Boshi is also soft feeling round shape. he changed his name to Masahiro. He passes away at Kanbun 5th Feb, 5th age 59. 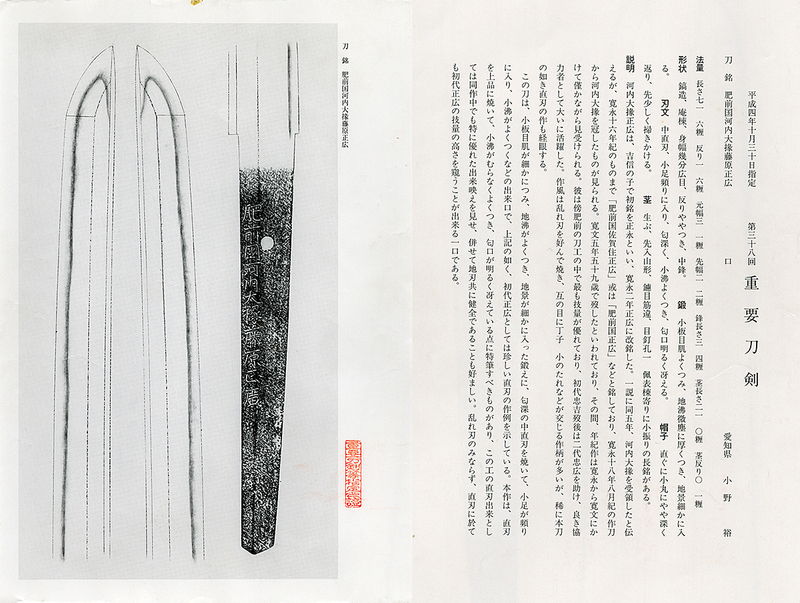 He made many swords for 2nd generation Tadahiro. He made unusual Cumulonimbus cloud style hamon and well repotted from that period. Even in modern times, many sword collectors collect his swords. of the Musashi daijyo Tadahiro. We undestand the high technique of his blade. The sword is very healthy without Kizu and flow. And also the blade was polished by highest ranking polisher.